Rustam Qobil from the BBC’s Central Asian Service visited northern Afghanistan for a two-part series for Heart and Soul. Chanting and singing worshippers, eyes closed, lost in their hypnotic worship, was not a sight he expected to see when he made the difficult journey to one of the most remote parts of northern Afghanistan. What he found was a renaissance in the mysterious Sufis school of Islam in this part of the world. For Sufis, Islam is about love to God and other human beings. The Sufi Muslim’s prayers are all about singing and dancing. For some Muslim believers these actions are the opposite of how they pray and worship and even look and sound blasphemous. But the Sufi prayers praise Allah only. Afghanistan, like other Muslim countries, owes a huge part of its rich cultural heritage and traditions to Sufism, once the most powerful Islamic teaching in all Central and South Asia. But the long years of conflicts and rise of radical Islam in Afghanistan forced the followers of Sufism underground and the most prominent Sufi groups all but disappeared from public view in many parts of the country. There are followers of four Sufi branches in Afghanistan: Qadiriya, Chishtiya, Naqshbandi and Sarwardia. All Sufis perform Zikr, remembrance of Allah. This is a Sufi way of praying. Some of them do chant God's names loudly, the others prefer a silent Zikr, Chishtiya even favour playing musical instruments. Although there is strong opposition against Sufism among the most traditional Muslims in Afghanistan, Rustam has found that Sufism is reclaiming a place in Afghan society. 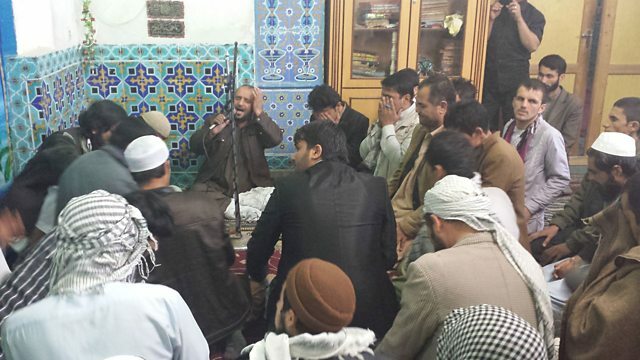 Picture shows Sufi Muslims in Afghanistan practising Zikr – the Sufi way of prayer.